Larry & Sons can help you solve your air duct repair problems for everyone living in and around the Hagerstown, MD area. Air duct systems carry the heated and cooled air to various areas throughout your home. The air flows through maze–like channels, and is an important part of your HVAC system. 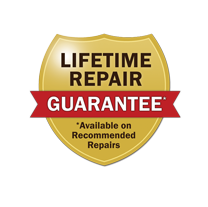 Our professional technicians use the highest quality equipment and supplies to make your ducts work like new again. During the summer, temperatures soar and it’s especially noticeable if your air ducts are not working properly. They’re also the most overlooked part of your temperature control system, so problems can build up if not addressed right away. You may not even be aware that you have a faulty duct system, as symptoms are often slow to develop, but there are ways you can tell if you have a problem. If you notice your home seems to be warmer in one room and cooler in others, you could have a problem with your ductwork. Air quality systems help maintain and stabilize the temperature throughout your home. If a break happens in the system, it can destabilize, resulting in uneven airflow. If you live in the Shippensburg area, we can help you get your air ducts flowing again. If you notice that your system seems to have lost its efficiency suddenly, it could be the air ducts. Most of the time, faulty ductwork is easy to fix. You’ll notice a big difference in the air flow and temperature in your home, and possibly even see a reduction in your heating and cooling costs. You can ensure the health of your air duct system by having a professional come out to check your HVAC and ductwork. A healthy air duct system equals a healthy home. If you’ve got proper airflow going, it means allergens and dust are filtered out. Ducts with cracks in them let unfiltered air from the outside in. By repairing those, we can increase the air quality and overall health of your home by eliminating outside pollutants and allergens, which is a great benefit of having a duct system in good working order. Your HVAC system is one of the biggest parts of your home. Get the most out of your system by having it tested regularly. If you live in Hagerstown, Frederick, MD, or the surrounding areas, contact Larry & Sons and we will be happy to schedule an appointment to come out and evaluate your duct system’s efficiency and condition. Your satisfaction is important to us, and we are happy to answer any questions you may have about our services.